We love a success story, and we’ve got a good one for you this month – TWO good ones, actually. Ryan and Jordan with Mark photobombing at Kidscreen this year. Brothers Ryan and Jordan Augustine had an idea for an animated kids show called Adam and the Octopus Club. The only problem was… they weren’t animators. How do you sell a cartoon show without knowing what the characters look like? You don’t. These are two smart cookies though.. They hired Ian Johnston’s studio, Too Many Legs Animation, to do the design and demo. Okay, great. Now you’ve got some awesome art, where do you go? Ian told the brothers they should pitch their show at a conferenece and go on a Hit Maker Tour with us (and Ian joined us too. Damn he’s funny!). Did we mention Ryan and Jordan were smart cookies? The brothers signed up to go on the Hit Maker Tour to Kidscreen Summit this past February in New York City – the biggest television conference for kids’ programming. As part of the tour they had some private meetings before and during the conference. Mark got them a meeting with the owner of powerhouse studio Breakthrough Entertainment. And, in negotiations following the conference, the brothers signed a contract last month with Breakthrough for their show. “Mark and Jeanne were amazing for us! They are the best resource we’ve ever had. And the most comprehensive resource to help us prepare and hone our pitch. Mark and Jeanne are amazing because they are great at networking. They got us some great meetings, like with Ken Faire, president of Nerd Corps, and with Nat Abraham, president of Breakthrough Entertainment. These are amazing studios! Thanks Mark and Jeanne. Breakthrough Entertainment President Nat Abraham (center) examines Hit Maker Tour member one-sheets at Kidscreen . Ryan and Jordan loom above ready to swoop in. THIS JUST IN… We’d also like to announce a fantastic achievement for another client, Tracy Cheney, who was just named Elementary School Teacher of the Year for the state of California. When it all comes down to it, where would any of us be without the great teachers that inspired us to have confidence and pursue our dreams? We congratulate Tracy and thank her for serving her state and her students so honorably and magnificently. We need a few million more Tracy Cheneys! But we’re very proud of the one we know! All you have to do is click on the link above and get your discounted registration. No discount code required! Even though training has started, you can get up to speed quickly. We make replays of all training available and every member gets two material reviews no matter when you join. The two biggest television conferences of the summer are almost upon us, Realscreen West and the Banff World Media Festival, so it’s time to pitch or get off the pot. Make your summer vacation your NEW VOCATION… a television series creator who’s sold his or her show. Get on board before it’s too late. We are starting NOW on getting you ready. Spots are limited. Realscreen West runs June 4-5 in Santa Monica, California. Here’s just some of the networks, agencies and companies that will have development representatives and network execs on hand: AMC, A&E, APA agency, BET, CW TV, DIscovery, E!, Freemantle Media, History, SyFy, TLC, truTV, VH-1, WE tv and dozens more! Jeanne has set up great meetings for our Tour with the president of truTV, an exec from Discovery Studios and an entertainment attorney among others. 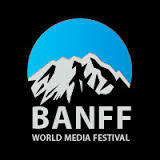 The Banff World Media Festival runs June 8-11 in Banff, Canada with breathtaking view of the Rockies and offering face-to-face meetings with more than 180 development executives. We already have a few great meetings set up for our clients at Banff such with Nat Abraham from Breakthrough Ent (looking for more great shows from our clients), Sean Chu, VP of Ciwen Kids and Miklos Perlus, director of development with marblemedia. More are coming…you can only get these meetings on our Tour. EMAIL: team@sellyourtvconceptnow.com with your name, phone and best time to reach you. If you’ve gone on a Hit Maker Tour before, then you can take advantage of a $1000 discount for this summer’s Tour to Realscreen West and Banff World Media Festival. You know what going to a conference with our Tour can do for you and your show – attract many potential buyers from both networks and top production companies, meet agents and attorneys, and stay current on what buyers want. The discount expires May 30th. Call 407-352-2544 to continue the adventure and sell your show. THE HIT MAKER SUMMIT IS BACK! The Hit Maker Summit is a 3-day treatment writing and pitch prep bootcamp. You said you missed it, and so have we, so we’re bringing it back August 24-26. We liken our Hit Maker Summit to the ultimate boot camp for show creators who want to work intensely with us and other TV industry veterans to hammer their projects into shape. You walk in with a partially-cooked idea, and you walk out with a fantastic feast of a show and pitch ready to serve. Call 407-351-0893 for more info and to find out about fantastic EARLY BIRD RATES. Go to www.Lynda.com to see what types of tutorials they have (everything from Screenwriting to WordPress to HTML) and look for his software storyboarding tutorial this fall. You don’t have to wait for the fall to see Mark’s freshly redesigned website for all his books. www.marksimonbooks.com features all his storyboard books, facial expression books and other great resources for animation, filmmakers and cartoon creators. The website includes videos, galleries, blog entries and much much more. Click on the link above or the picture to go and explore! PITCH A COMEDY TO NBC… NOW! NBC is desperately looking for fresh comedy series ideas and now has an online contest running this month and next. Go to the NBC website for all the details. Don’t throw away the opportunity of a life time! Book a pitch prep with Jeanne and compete with the best of the best. Our clients CONSISTENTLY become finalists in pitch contests held at national television conferences. We know what it takes to stand out and make an impact. If you haven’t been to our Facebook page lately, you could be missing a chance for our big sweepstakes giveaway. The giveaway is over in less than two weeks and all you have to do to enter is ‘Like’ the page and put your name and email to contact prizewinners. You can’t win if you don’t enter, so go to http://l.inkto.it/3rwrq7 now to enter. As if the 628+ regular television cable stations and networks weren’t enough, it seems like everyone else is getting into the video series business no matter what the platform: Yahoo, Hulu, Microsoft, YouTube, Crackle, Time, inc. and AOL are all producing video series. AOL alone now has 16 series already in production. Read more about this new frontier in show series that opens up countless more opportunities for your content in the current May 16 issue of Entertainment Weekly in the News and Notes section. (Ironically, the article is only in the print edition and not on www.ew.com). National online video ad sales jumped 44 percent last year to $4.2 billion, so every company is expanding their presence on the web and pitching online shows to advertisers on Madison Avenue. Which means they are all taking pitches from content creators at the television conferences, as well. So don’t just think of the usual suspects like CBS or AMC or TLC when you look for development executives – the new frontier is streaming content series online. Steven Spielberg is producing a live-action version of Halo for Microsoft. Hulu is doing a Real Housewives reality show take-off called Hotwives of Orlando. Yahoo is doing a futuristic scripted comedy from Freaks and Geeks creator Paul Feig called Other Space. Now that the ad dollars are there, the content demand is following, so keep these new outlets in mind for your shows and where to pitch and sell them. Good luck! Until next month!